The ASE F1 certification program provides technicians the knowledge required to pass the Light Vehicle Compressed Natural Gas. The F1 program includes, Parts Fabrication and Vehicle Suitability Installation information for Compressed Natural Gas fuel system testing, adjustment, maintenance, diagnosis and safety information. 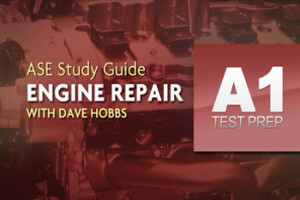 In addition to the ASE certification test preparation study guide, as a new addition we have Included a Light Vehicle – Compressed Natural Gas Practice test which also covers details on Vehicle Inspection For Condition, Suitability And Compliance; Equipment Installation And Inspection; Leak Testing And Repairs; Emissions, Performance Verification And Adjustments; System Diagnosis, Maintenance And Repair; and General Cylinder Safety And Maintenance. 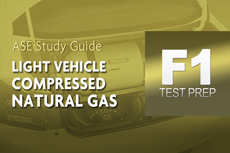 You’ll also find the ASE F1 Light Vehicle Compressed Natural Gas program to be a handy reference you can use on the job after you’ve taken the ASE test.